Get the deal closed, know the mortgage process! What's the difference between a prr-qualification and a pre-approval? What do underwriters look for? What should your clients expect? How can you help get it to the closing table? Get these answers and more in our 3 hour CE course on mortgages. 3 free CE hours, lunch included. 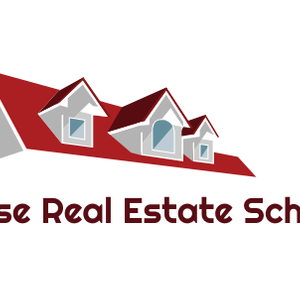 Program provided by Legal Ease Real Estate School. Legal Ease Real Estate School (the “School”) has been approved with the Georgia Real Estate Commission, expiration date is 12/21/2022. You will earn 3 continuing education credit hours upon successful completion of the course. This course is offered as an in-class course at 3525 Piedmont Rd NE Conference Room A Bldg 5. Ste 100 Atlanta GA 30305 on 3/21/19 at 10am. The instructor will be Kevin Jefferson, mortgage loan officer. This course does not have homework, an examination or a grade. You must be on time and present for all in-class hours to receive credit for the course; the School does not have a make-up policy. The School will not allow anyone to recruit students to become new affiliates for any brokerage firm on the school premises during a class or one hour immediately before or one hour after a class meets and that the school or instructor will promptly report any violation of this rule to the school director/coordinator or the GREC. Students will not receive any continuing education credit for taking a course if they have taken the same course within the previous twelve months. No recruiting for employment opportunities for any real estate brokerage firm is allowed in this class or on the school premises. Report promptly any effort to recruit on behalf of a brokerage firm by anyone (including a fellow student) to Nancy Wasdin at 678-551-2399 or the Georgia Real Estate Commission.